Commuinity Options is a new programme for young people (up to 25 years old) currently being offered at parklea Branching Out and at venues within your local community. We currently provide a range of opportunities based at and out-with the Parkela Branching Out site. 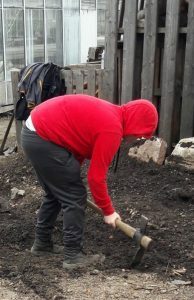 Core activities are focused upon horticulture and include; grounds maintenance, plant production and plant maintenance – for sale to the public, growing vegetables, maintaining floral displa ys in public spaces, making small garden items, recycling and upcycling activities. Are you looking to develop your skills to help your progress in the future you want? Community Options will provide you with focussed training and work experience to enable you to get ready for employment, training or other future opportunities. We will provide you with support to choose an option suited to your needs and we will work with our partner agencies to provide access to a wider range of activities and opportunities. Taking part in the programme will help with life and social skills, improving communication, improving confidence, meeting new people, developing new skills and gaining new qualifications. Assistance towards acquiring any of the following certifications will be provided and will help you to improve your employment opportunities and access to further education and training. 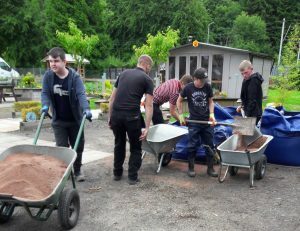 Community Options provides many benefits for our young people taking part. Support will be offered in range of transition stages such as upon leaving school or through a referral from Education or other provider. We want to enable greater input from our young people in the design, decision making and the future services of Parklea Branching Out. With support from the team and our local partners you can get involved to help us make this happen-join our Advisory Group. To get involved or to find out more, just get in touch to arrange an informal chat.